LAST CHANCE TO REGISTER! A FEW SEATS LEFT! The Central New York Women's Bar Association is proud to announce a CLE offering this month. Please join us for an in-depth look at how the Indian Child Welfare Act applies in New York State, including knowing who qualifies as an ICWA child and understanding jurisdiction, with renowned statewide expert practitioner and speaker Margaret Burt, Esq. Differences between ICWA and NYS Law: Who is an ICWA Child? This course or program has been approved in accordance with the requirements of the New York State Continuing Legal Education Board for a maximum of 3.0 credit hours, of which 1.0 credit hour can be applied toward the Diversity, Inclusion and Elimination of Bias requirement, 1.0 credit hour can be applied toward the Professional Practice requirement, and 1.0 credit hour can be applied toward the Skills requirement. New attorneys may not receive Diversity, Inclusion and Elimination of Bias credits, so New Attorneys attending the CLE will receive 2.0 total credits, including 1.0 in Skills and 1.0 in Professional Practice. FINANCIAL HARDSHIP SCHOLARSHIPS: Full and partial scholarships for these programs based on financial need are available. A written request must be forwarded to Bryn Lovejoy-Grinnell, Esq., Bousquet Holstein, PLLC, 110 W. Fayette Street, Suite 1000, Syracuse, NY 13202. All requests are confidential. The cost of this CLE program (excluding food) will be waived for up to ten (10) attorneys employed by a non-profit organization in New York State that provides direct legal services to victims of domestic violence. Please contact: Bryn Lovejoy-Grinnell, Esq. for more information and how to register. The Bar has been invited to comment on the reapplication of Support Magistrate Hon. Susan Nasci. 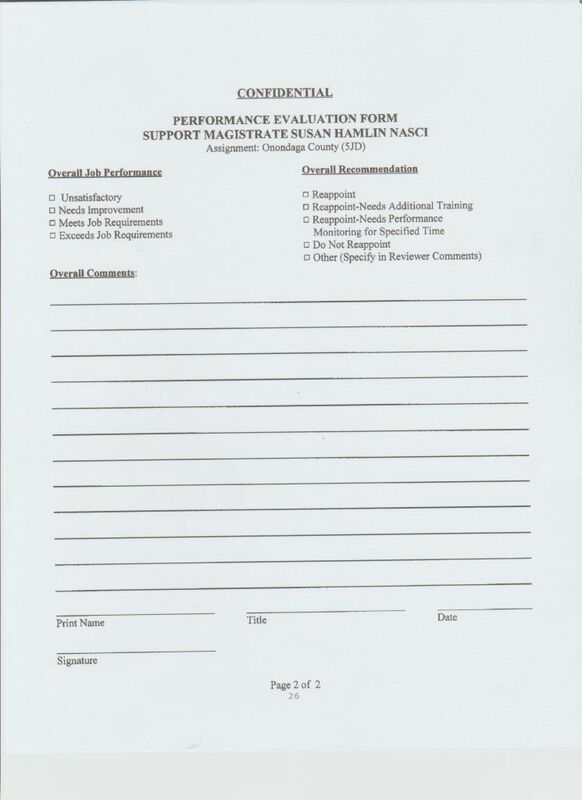 Attached is the two page evaluation form. 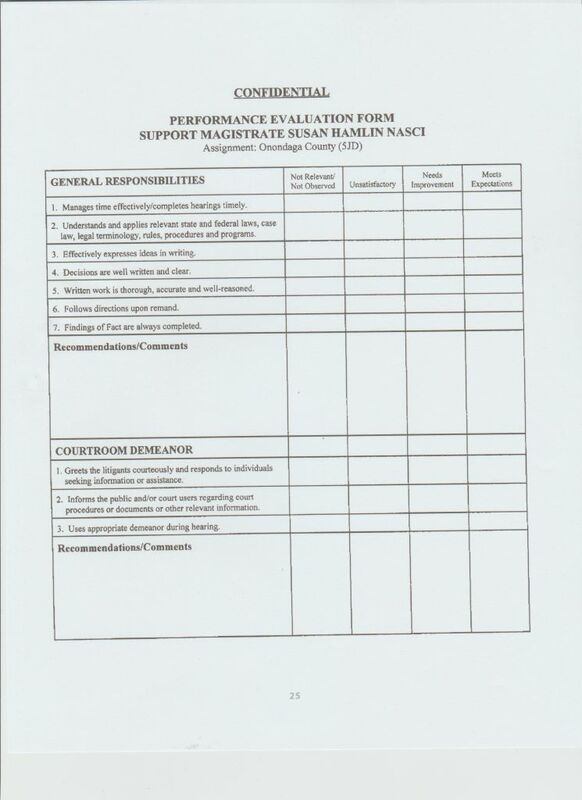 Please complete the form and send it to Robert J. Jenkins, Esq. at rjjenkinsesq@gmail.com or mail it to him at 120 East Washington St., Ste 423, Syracuse NY 13202. Please send it to me as soon as possible or by March 8, 2018. As in the past, if you wish to keep your identity confidential, please indicate that and I will do so. 4/10/2018 12:00pm - Save the Date! FREE! Registration information to come soon. It's a great time to join the Central New York Women's Bar Association because members joining now are counted toward the 2018-2019 membership year and get March through May 2018 free. What is AI? How Does It Work? What are the Potential Implications of AI in General and for Your Practice? The New York State Office of the Attorney General (OAG) is seeking talented law students for its 2018 Summer Law Internship Program (SLIP). The SLIP officially runs for 8 weeks between June and July beginning on June 4, 2018. Interns commit to work full-time for the entire duration of the program. Placements are available statewide within the Divisions of Criminal Justice, Economic Justice, Social Justice, State Counsel, Appeals and Opinions, Regional Affairs, Executive and Administration. Law students assist attorneys in all phases of their work including but not limited to: legal research; drafting of briefs, memos and pleadings; document review; responding to discovery requests; preparing for depositions and trials; and performing some clerical work. Students should only apply for those bureaus and/or regional offices of interest to them. Location preferences will be honored; however, bureau assignment may ultimately be made based upon the needs of the OAG. Applicant deadline is March 16, 2018, but please note that positions are filled on a rolling basis. The New York State Office of the Attorney General's Litigation Bureau in Albany is seeking an experienced attorney capable of handling significant and complex litigation. The Litigation Bureau represents the State of New York, its agencies and officers in state and federal courts in proceedings relating to civil rights, education, social services, public employment, public health, law enforcement, corrections, state finance, insurance, taxation, and other litigated matters arising out of state operations and legislation. Cases in the Bureau frequently present questions of administrative law, federal and state constitutional law, and statutory interpretation. Attorneys handle all phases of litigation, including trials. The New York State Office of the Attorney General (OAG) is seeking an experienced litigator to lead the Bureau of Internet and Technology (BIT) in New York City. The BIT Bureau Chief will supervise attorneys and support staff in their investigations, case development, and affirmative lawsuits on behalf of the Office. The Bureau Chief also has the opportunity to serve as the lead litigator and trial attorney in civil actions brought by the Bureau. BIT enforces state and federal privacy, data security, and consumer protection laws on behalf of New York and its citizens, and is engaged in the full range of issues affecting the internet and emerging technologies. BIT also works closely with other state and federal enforcers on matters of national impact. BIT also regularly interacts with the academic and technology industry community in New York and nationally, and the Bureau Chief can expect to interface regularly with representatives from those groups.